Help us to relive, in union with Mary, the joyful, luminous, sorrowful and glorious mysteries of Jesus. “During the night before the Nativity of Mary, I was saddened by the thought that although Mother’s Day is becoming more and more popular, the birthday of Mary, Mother of all mothers, would not be celebrated in Christian homes. 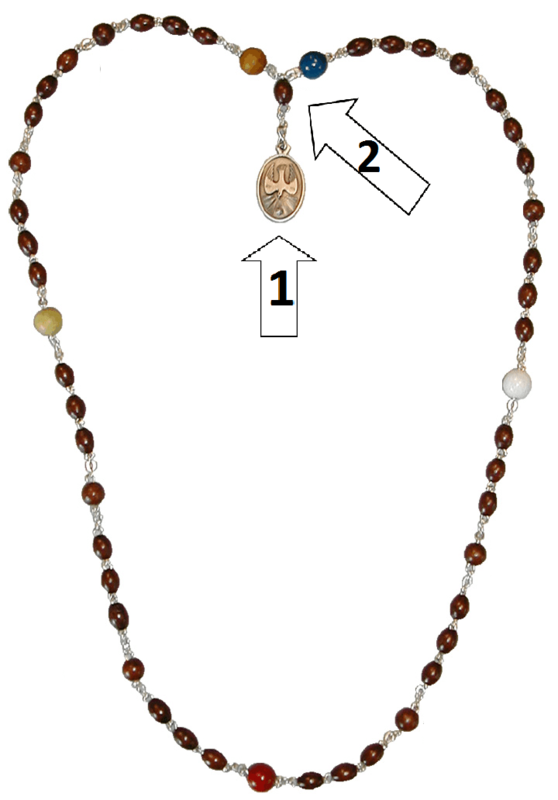 The spirituality of the FIAT rosary is expressed symbolically in the little medal which is attached to it. ON THE FRONT of the medal is embossed the image of the Holy Spirit, symbolised by a dove overshadowing Mary at the moment of her FIAT at the Annunciation. 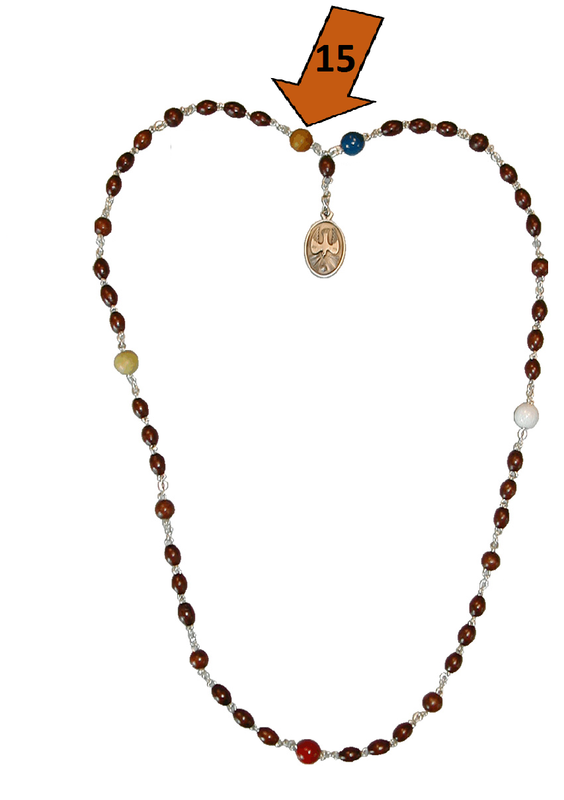 Mary is symbolised by a diamond, the purest and most precious of all stones. It faithfully catches and reflects the rays it receives. The bright rays which surround it remind us of the gifts and fruits of the Holy Spirit. When together with Mary we invoke the Holy Spirit we ask Him to enable us to go deeply into the Secret of Mary who will unite us even more to Jesus. 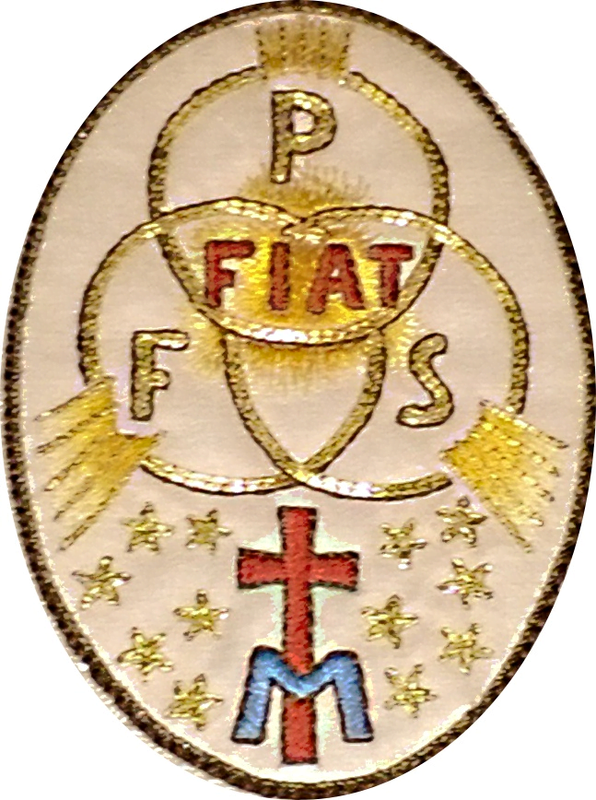 ON THE BACK of the medal we see three circles with the letters: P (Pater, Father) F (Filius, Son), S (Spiritus, Holy Spirit), symbolizing the Persons of the Trinity. The word FIAT in the centre invites us to unite ourselves to the FIAT of Mary, by saying YES to God and to his plan for each of us in our own situation in life. Then there is the Cross, recalling Calvary, and the letter M, Mary at the foot of the Cross. We have to learn to communicate with God through suffering. Our FIAT is complete when it is united to Christ’s in his Agony. The Cross is surrounded by twelve stars. These symbolize the twelve Apostles, who bring the new-born Church to the world and are the guarantors of the Gospel. 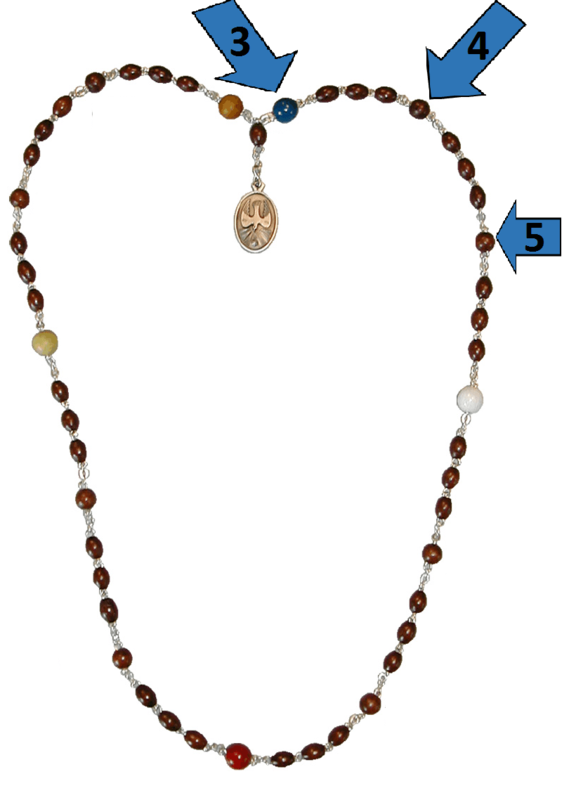 The FIAT rosary starts and ends with the Sign of the Cross. After the Sign of the Cross the prayers of introduction are offered. 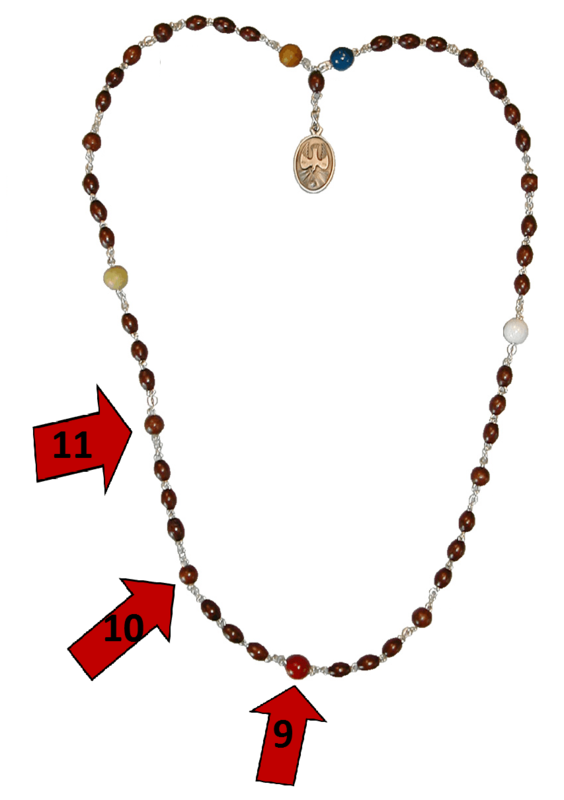 Before starting with the different mysteries of the Rosary, one can express some intentions and conclude them with the Lords Prayer. Next the 3 joyful mysteries, the mysteries of the light, the three sorrowful and 3 glorius mysteries are meditated. Each mystery consits of three Hail Marys followed by: “Joy and Glory be to the Father, to the Son and to the Holy Spirit.Amen”. 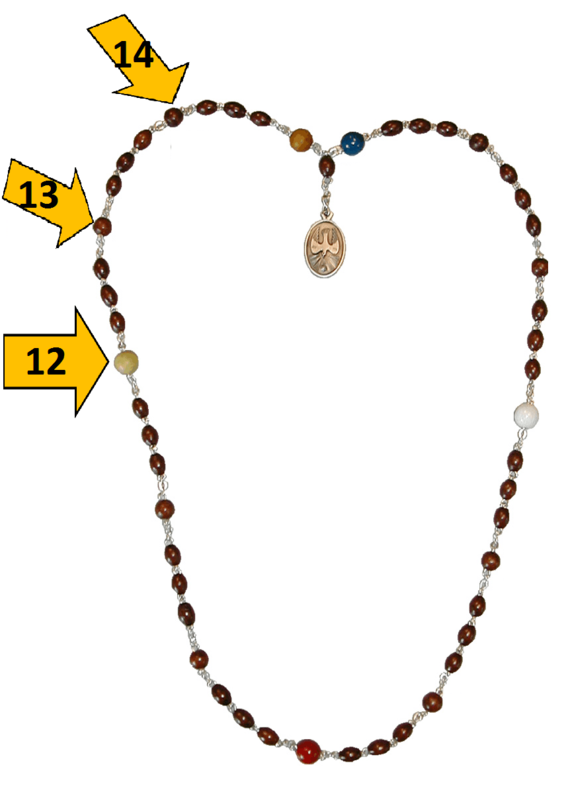 After the prayer of the 12 mysteries the FIAT rosary is ended with the final invocations and song for Mary. The symbolism of the Sign of the Cross, the Cross which is at the very heart of Redemption, and the profession of faith that it implies are part and parcel of the Christian patrimony. The Sign of the Cross also evokes the fullness of the mystery of the Trinity, since we make this sign ‘in the name of the Father, the Son and the Holy Spirit’. 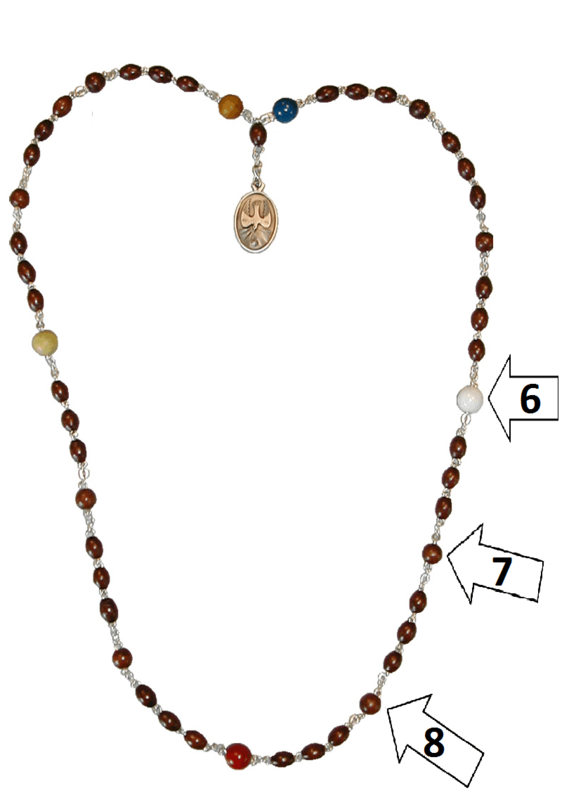 Here is the text which introduces and accompanies the FIAT rosary. It directs it straight away towards the Holy Spirit so that his breath gives it life and helps us to meditate the mysteries of Jesus in our hearts. Help us to relive, in union with Mary, the joyful, luminous, sorrowful and glorious mysteries of Jesus. Amen. – renewed in the grace of Pentecost. of the love of His Divine Heart. Amen. thy will be done on eart as it is in heaven. On September 8th the Church celebrates the Birth of Mary. 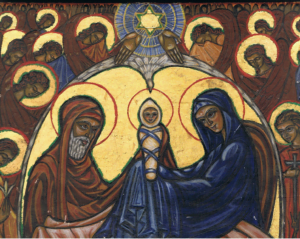 This is a Trinitarian feast, preparing the Covenant between Heaven and Earth: Mary is born, immaculate, in order to receive one day the Saviour of the world – the dawn prepares for daybreak. 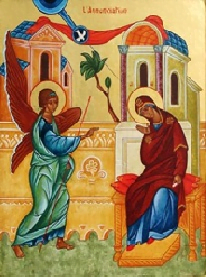 On March 25th the Church celebrates the feast of the Annunciation. In response to the message of the angel Gabriel, Mary in the name of the whole of humanity said ‘YES’ to God’s plan for the salvation of the world. May she teach us to welcome our personal vocation as a call from God. 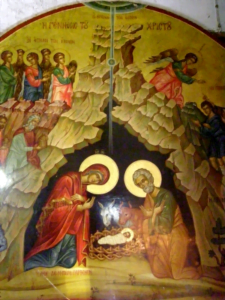 The birth of Jesus at Bethlehem was announced by the angels as an immense joy for both earth and heaven. On Christmas night the Son of God, conceived in Mary and born by the power of the Holy Spirit, began the Redemption of humankind. Let us adore Him with Mary and Joseph, the shepherds and the Magi. The Baptism in the Jordan is first of all a mystery of light. 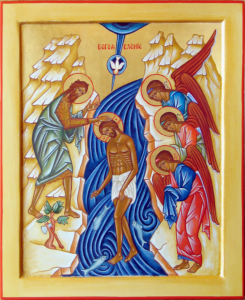 Here, as Christ descends into the waters, the innocent one who became “sin” for our sake (ref. 2Cor 5:21), the heavens open wide and the voice of the Father declares him the beloved Son (ref. Mt 3:17), while the Spirit descends on him to invest him with the mission which he is to carry out. The first of the signs, given at Cana (ref. 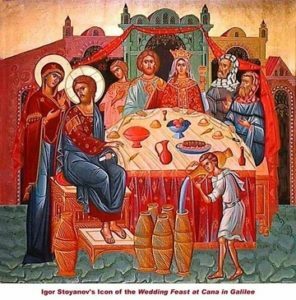 Jn 2:1-12), when Christ changes water into wine and opens the hearts of the disciples to faith, thanks to the intervention of Mary, the first among believers. 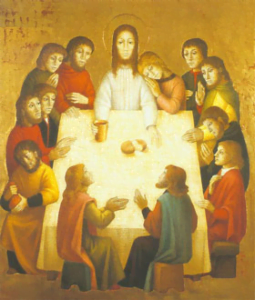 A mystery of light is the institution of the Eucharist, in which Christ offers his body and blood as food under the signs of bread and wine, and testifies “to the end” his love for humanity (Jn 13:1), for whose salvation he will offer himself in sacrifice. It was in the Garden of Olives that Jesus expressed his FIAT to the loving will of the Father, saying to Him: ‘not my will but yours be done’ (Lk 22:2). When the night of human suffering, in whatever form, descends on us, may our FIAT be joined with his and derive its strength from him. 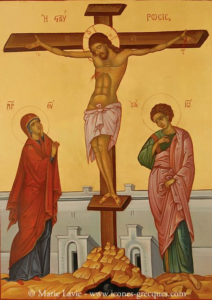 The Cross is heavy and Jesus accepts the help of Simon of Cyrene: an invitation to us to accept the crosses of our brothers and sisters with compassion and in solidarity. An invitation too to wipe his face, an act traditionally attributed to Veronica. It is also an invitation to put back in a place of honour the Stations of the Cross, which are so rich in meaning. The death of Jesus is a victory over death and sin and over the powers of evil. May it help us to understand that the grain of wheat must die in the earth if it is to produce much fruit and that ‘dawn begins at midnight’. We should understand too that, for a Christian, to die is to be born to New Life. Easter is the summit of our faith and our hope. 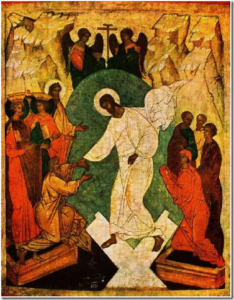 Every Sunday the Church invites us to celebrate Easter, and the Paschal Alleluia should echo in our hearts like a rallying cry and remind us of the victory over sin, death and the powers of evil. In the Upper Room in Jerusalem the Holy Spirit descended in the form of tongues of fire. 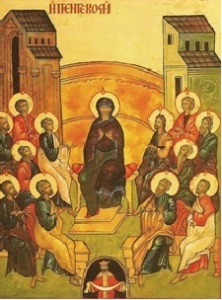 These rested upon the disciples gathered with Mary and the holy women. The Church was born that day. It was born with a missionary nature. All of us, we have a share in the responsibility of spreading the Good News. 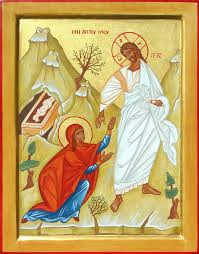 Mary, glorified with body and soul in Heaven, invites us to respect our own bodies which are called to the final resurrection. She also introduces us into the Community of the Church Triumphant of which she is the Queen. She will help us to make our earthly journey in the joyful expectation of heaven. – St Joseph, guardian of the Holy Family, protect us. – St Michael the Archangel, from the powers of evil, defend us. – All the Angels and Saints, pray for us. O Mary, every moment of our life.